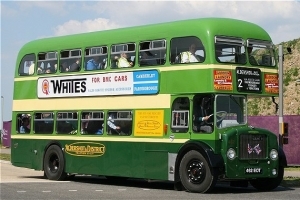 The Society was formed in 1996 to save two 1928 former Aldershot and District Dennis E buses from a field at Four Marks, Hampshire. Since then the society has grown, it has become a limited company and a charity and more buses have been rescued. The fleet now comprises six vehicles dating from the 1920s to the 1960s when public transport was in its heyday. The Dennis E type vehicles form the backbone of the fleet but all require major restoration work to get them back onto the road. We have had to take a practical approach to these very rare buses. 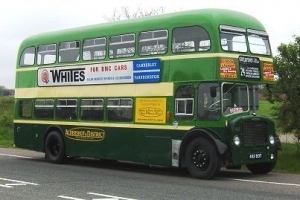 The cost of restoring the two buses found in 1996 in a field, OT 8592 and OT 8898 would cost in the region of £500,000 and this is beyond the Society's means. However the bus found by the River Thames, inside a house has a much better chance of being restored. In 2016 the Society obtained donated funds to enable restoration of this chassis and hopefully this will be driven out of our barn at Milland. Some time ago we managed to obtain the original registration, OT 8902, so eventually one, or a combination of two of the earlier found bus bodies will be attached to OT 8902. In the 1920's vehicles were made of two parts, chassis and body, unlike the present day construction. The Trustees believe it is better to get one good bus fully restored rather than struggle with three!